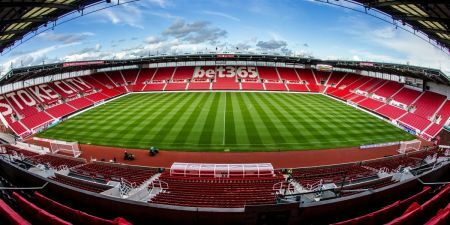 On the final day of the first ever National Schools’ Football Week, The ESFA is delighted to be able to announce that Stoke City FC will be hosting 12 of the upcoming National Finals for 2017-18! National Schools’ Cup Finals, including the U18 Elite Cup Final will take place across the three days. The ESFA will be contacting teams who currently remain in these competitions to provide them with details on the upcoming plans shortly – and we hope to be able to welcome many of you along to support these fantastic finals! Details of the ESFA PlayStation Schools’ Cup Festival are still to be announced, which will include 15 ESFA PlayStation Schools’ Cup National Finals staged over 3 days. More information will follow about this festival in coming weeks.